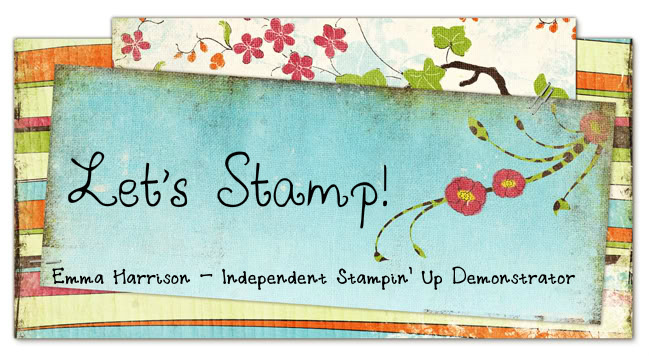 Let's Stamp! : Time for a change? It's almost the start of the summer holidays but already I'm looking forward to September - not only because both of my boys will be at school (the youngest starts for the first time!) but also because us demos will get to see the new catalogue, and just as important - what's retiring! The USA have already launched their new catalogue, and it is brimming with exciting new goodies! Unfortunately, we have no idea which of them will be making their way across the pond to our catalogue nor which ones will be disappearing for ever! The list below is the list of items that are retiring from the US version of the catalogue. But it doesn't necessarily follow that they will retire from ours! Are there any on there that you have been meaning to buy? We won't know which sets are retiring until 1 September, and it may well be that there are sets retiring that aren't even on the above list. So if there are any sets on the list that you want, you may want to think about ordering them before the retired list comes out on 1st September. Once that list is up and running stamps do run out quite quickly, and once they are gone they will not be restocked. There are so many on there that I will be extremely sad to see go but I will especially miss Sanded background, Sense of Time and Beware Pirates go. If you want to make sure you receive the retired list as soon as it goes live, either make sure you come by my blog on 1st September or add yourself to my mailing list!